Good evening people, the above quote has nothing to do with today’s piece, but I thought I’d just share it with you anyway. I’m at Starbucks with my sis, cousin and friend, just enjoying the buzz of humanity during the Starbucks Happy Hour. I was cracking my head as to what to write today until recalled a conversation I had yesterday. Haven’t really put that much thought into it, so i think it’ll be short. Here it goes. Life isn’t pretty, bad things happen, but ironically these events may eventually lead you to something better. If I never had to take my intermission from Monash, I would not have developed my blog and my writing, which has now become so very important to me. 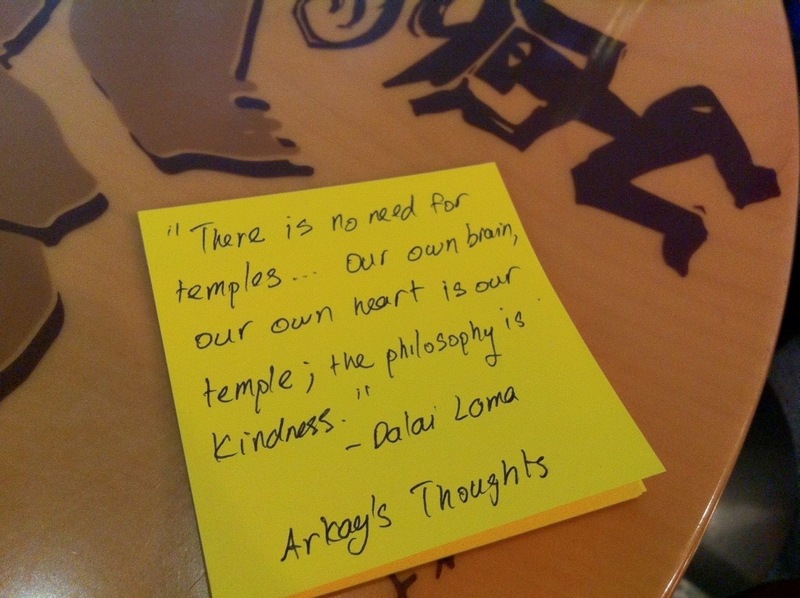 In a way, I’m actually glad that my symptoms flared up because they lead me to this… Arkay’s Thoughts. Actually, if I take a look at the last 3 years, or actually my whole life, I really don’t think I would change much because each fall, mistake or stumble either taught me or lead me to something better in the long run. They’ve made me more patient, more appreciative to the life I have and the people that are in it. 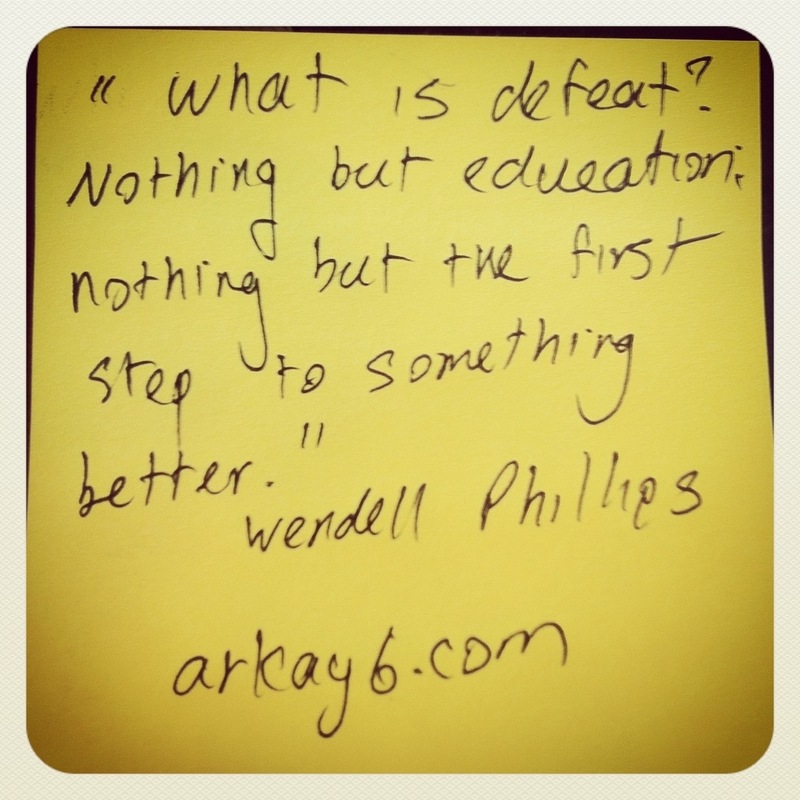 I’m learning how to handle defeat gracefully and how to not let it stop me. I’ve become a whole lot stronger. I won’t lie, there was many a time that I just wanted to give up, but there was always a voice in my head telling me to Keep Moving Forward, that I could do it. I haven’t been able to jump all the hurdles, but I’ve made it over a lot, some barely, but I made it over. I picked myself up and when back to class after I dropped out of MUWCI. I graduated a Merit Scholar from CPU and got the business award even after all the absences (thanks to fibro), I did well in my first sem, I fought back against the slump early this year, I sorted things with Monash and I’m going back to class again. None of it was easy, but you know what… All the work was worth it. My family and friends were there to help me up when I was down and didn’t want to get up, they believed in me, when I didn’t believe in myself, and they played a huge part in my life, not just over the past 6 months, but over the past 22 years. I wouldn’t have made it even half this distance without them, especially my parents. Every fall, every knock, every wrong turn, every mistake… They have lead me here, and I will continue to learn from them, for now they are no longer mistakes, but experiences. Lessons learnt. Memories. Look for the silver lining, please. Because if you don’t, you’ll end up looking at life through dark tinted glass. I’m not saying that you should be that absolute optimist, but if you want to be happy, look for the sliver lining, it’ll make a big difference to the way your live life. Sort of like the glass half-full versus the glass half empty. Look for the silver lining, it won’t always be easy, but mot of the time, it’s worth it. All you say is true, Roshan. “It is wonderful to be awake, it is wonderful to sleep, and it is wonderful to be alive. Everything is good. How wonderful it is that everything that happens in life is for the better” – Mahikari divine teachings.